I am an official brand ambassador for Mini Babybel® in 2016. While I receive compensation for participation as a brand advocate, opinions are my own. 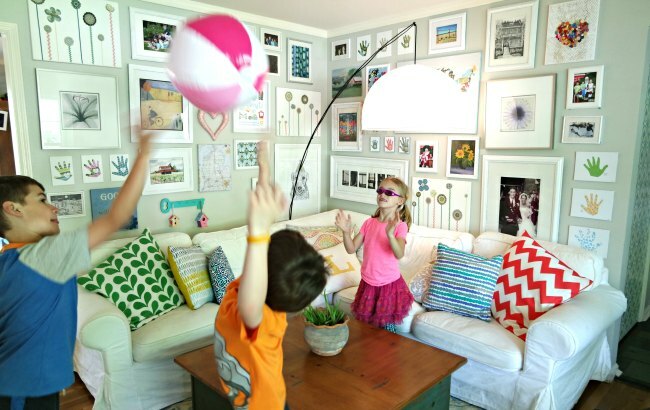 Summer at our house means a lot of things. It has also come to mean BOREDOM and HUNGER. As in, my kids are bored. And then they want to eat. Which in past summers has meant that my kids are eating breakfast three times before 9 am. They’re snacking every 10 minutes. They’re eating lunch and then snacking some more. And it also means that I’m in the kitchen ALL. DAY. LONG. Last summer, I implemented a summer eating schedule, and it made a HUGE difference in our summer. I listed out very specific times that we would eat, gave clear parameters on what food options would be available, and listed when the kitchen would be closed. Any time that wasn’t listed on our food schedule meant that the KITCHEN WAS CLOSED. And you know what happened? No one starved to death. In fact, after the first few days, everyone relaxed about the food situation and just started having more fun. PLUS – I had freedom from the kitchen – which was huge! Everyone eats breakfast as they come downstairs. 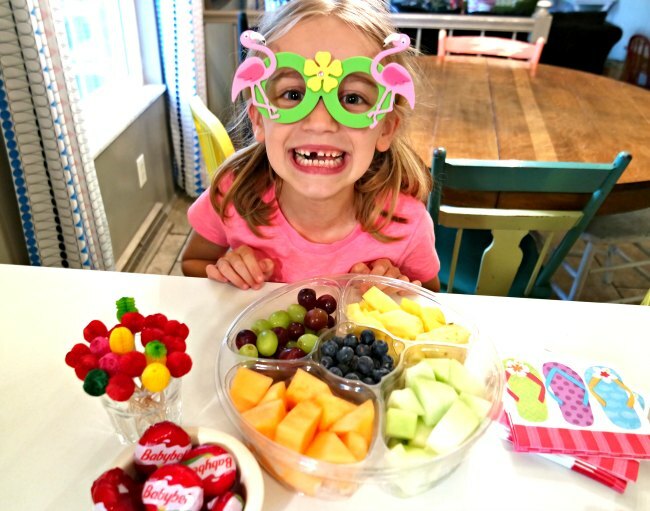 The older two kids know how to make the basics – toast, oatmeal, cereal – and they help themselves and also make something for the 5-year-old as well. Then the kitchen is closed until snack time. “Closing the kitchen” not only helps me get away from there for a few hours, it also helps make sure that the kids eat enough for breakfast. Oftentimes, they’ll eat some yogurt or fruit with their breakfast to help tide them over until snack time. This is when I get out our fruit and cheese tray. 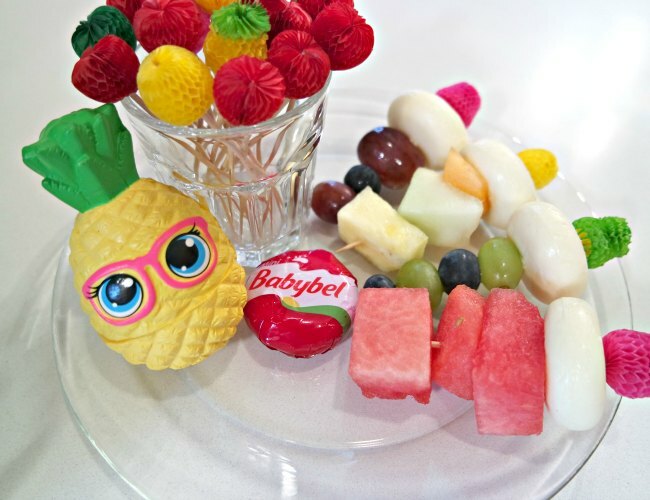 The kids can help themselves to fruit and Mini Babybel – a 100% natural cheese with a unique, rich and creamy taste. The bonus? It’s one of the few things that every single one of my kids loves. How great is that? Sometimes the kids like to make Mini Babybel Fruit Skewers. They start with the cheese as their base followed by the fruit of their choice. Then – you guessed it – the kitchen is closed until lunch. Our afternoon snack is a little more open. Sometimes it’s popcorn or pretzels. My son loves to eat pancakes if we have some leftover from breakfast. My daughter might eat some turkey or some raisins. The youngest is a huge fan of hardboiled eggs. As long as it’s somewhat healthy and easy to prepare, I let them choose their own. To help ward off the pre-dinner meltdowns, I get out a veggie tray at 4 pm. The kids can help themselves to all they can eat. 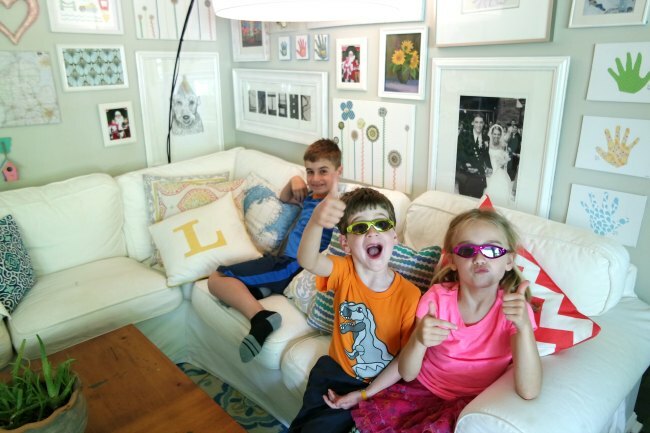 I want our summers to be full of spontaneity when it comes to the fun activities we’re doing each day – not when it comes to me trying to figure out what to feed kids. And I definitely don’t want to spend half my day negotiating with kids on what they can or cannot eat. 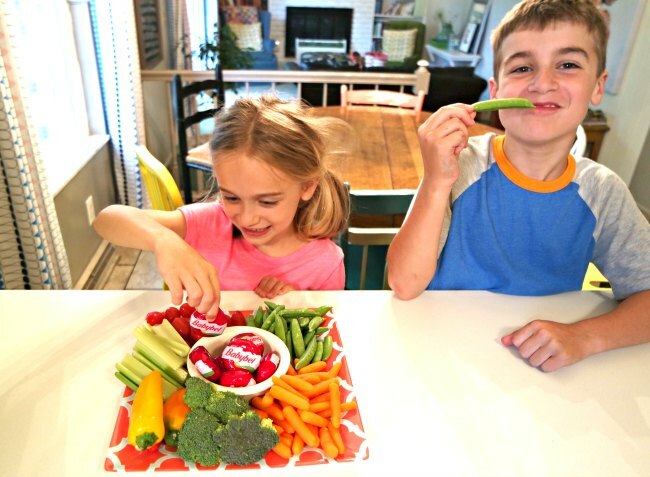 Putting our summer snacking on auto-pilot with Mini Babybel, fruit and veggies helps us have more fun. 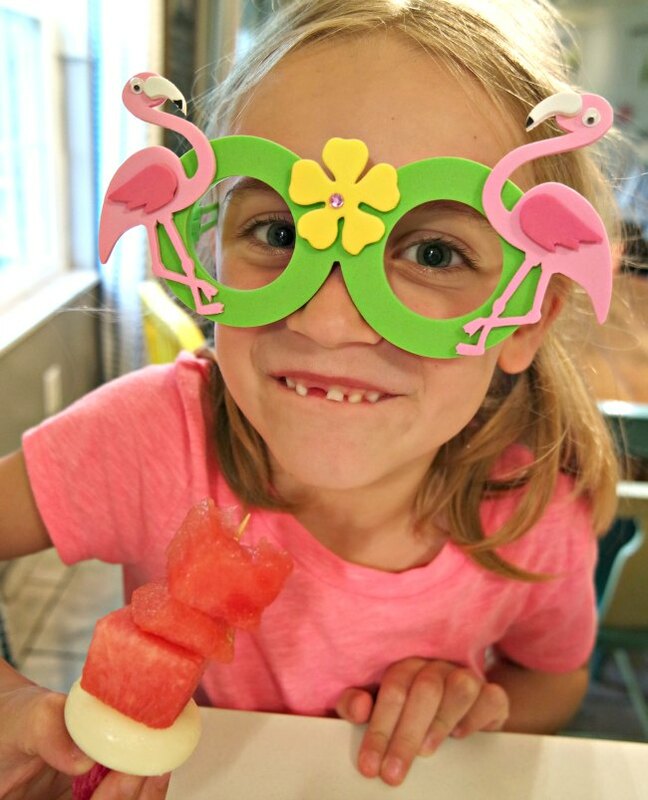 I know the kids are eating what they need to have lots of energy for summer fun, and I’m not spending my entire day in the kitchen. 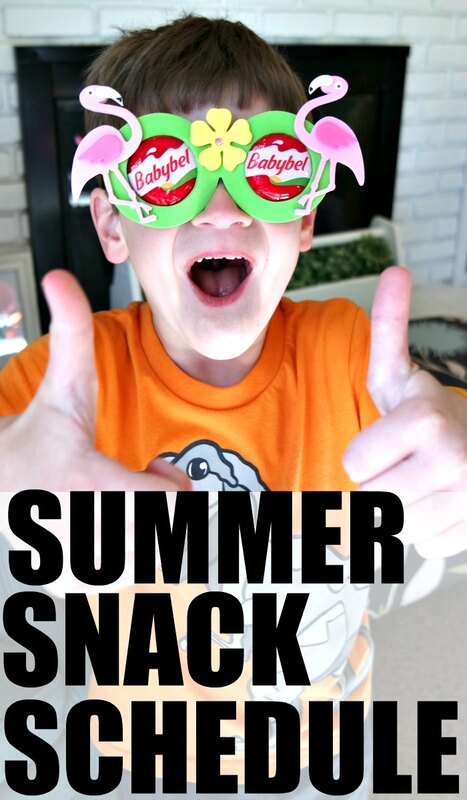 Visit www.mini-babybel.com to learn more about this snack that your whole family will love. And be sure to follow Mini Babybel on Facebook, Twitter and YouTube.